Pope Francis made a historic visit to the United Arab Emirates (UAE) during the country’s “Year of Tolerance” celebration held at the Abu Dhabi’s Zayed Sports City Stadium. The facility could only accommodate up to 135,000 people and tickets were released at their respective churches where thousands of Catholics lined up for hours in hopes of receiving free tickets to get inside the venue. Pope Francis is the first Roman Catholic pope to set foot in the UAE, and welcomed by the country’s leader. Almost a million Roman Catholics were lining up for the papal mass tickets, who were living in the UAE. The tickets will not only allow them to attend the mass in Zayed Sports City Stadium, but will also grant them a day off as announced by the Ministry of Human Resources and Emiratisation. 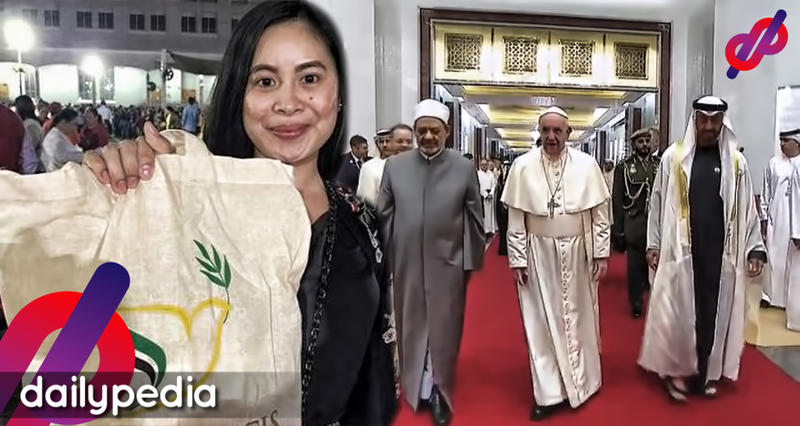 A Filipina, named Bernice Soroosh is a devout Catholic, wanted to attend the papal mass. 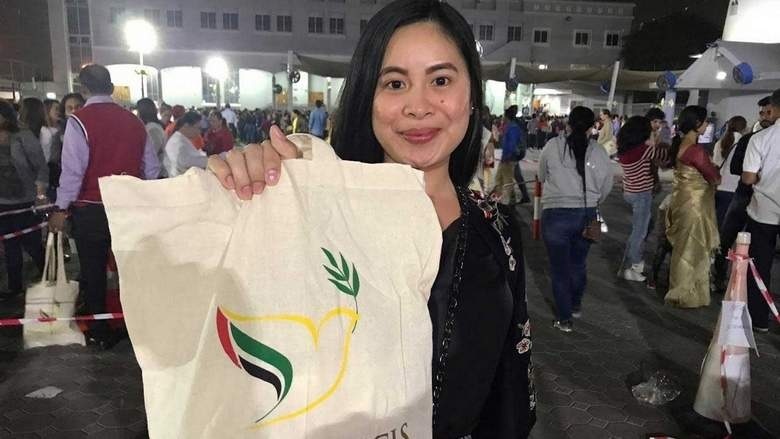 As told her Emirati husband, Yousef Sroosh about this, he immediately offered to take her to St. Mary’s Church to give her a chance to have a ticket. Yousef patiently waited for her wife who had spent several hours lining up outside the church. “I told my husband that I would like to attend the papal mass and he offered to drive me to St. Mary’s Church to get a ticket. I was really touched by his offer. This Papal visit has proven that people, even a married couple like us, who come from different religious background and culture, can arrive at a common ground,” Bernice shared. Yousef is an evident proof that not all Muslims are having thoughts of not allowing their wives to attend big religious events, despite the impression of being strict in the Muslim religion. In spite of their efforts, Bernice was not able to get a ticket. Still she feels blessed that the pope has visited the UAE and could still hear the mass through the live video broadcast. Yousef earned admiration from social media, as the Muslim guy who give his best to support his wife and help her to secure tickets to the papal mass in his United Arab Emirates (UAE) visit.